Nelson Mandela said, “Do not judge me by my successes, judge me by how many times I fell down and got back up again.” I’ve fallen down and been pushed down so many times. Haven’t you? Somehow you manage to get up again. You learn what you’re really made of as you rise up. I believe that success isn’t a destination. It’s a journey filled with peaks, valleys, roadblocks, and detours. No matter what you encounter along the way, it can’t stop you unless you allow it to. You are indestructible! I know it doesn’t feel like it when you’re in the thick of it, but you are. Everything people have said or done to hurt you has nothing to do with you and everything to do with them. All of your experiences -good and bad- will ultimately work together for your good. 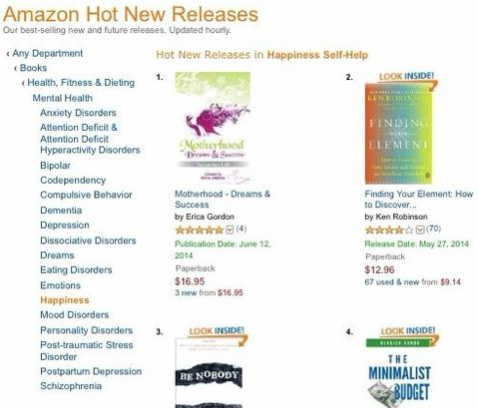 Motherhood Dreams & Success became an International Best Seller in ONLY 5 Hours!!! Leg-a-SHE Strategist and international speaker Sarah Aderson empowers entrepreneurs to charge what they're worth, so they can confidently build a legacy that will positively impact not only their family, but the world. 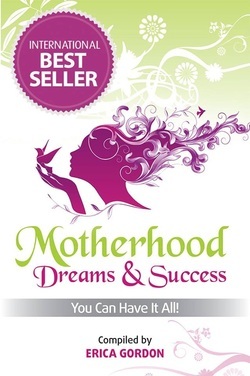 Sarah is the co-author of the international best selling book Motherhood Dreams & Success: You Can Have It All! and author of the forthcoming book The Single Mompreneur Bliss Blueprint: 7 Steps to Activate the Superpower in Your Heart. As a single mom, she lives a blissful life with her son and uplevels a woman's net-worth by multiplying her self-worth. 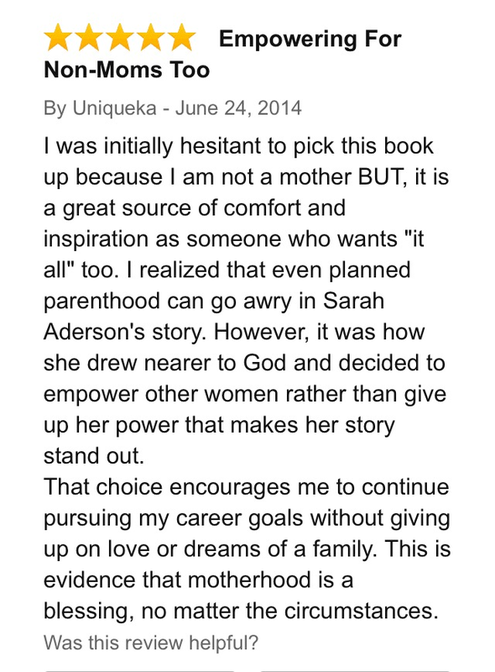 Sarah produces unprecedented results through her coaching programs, speaking engagements, and online community. 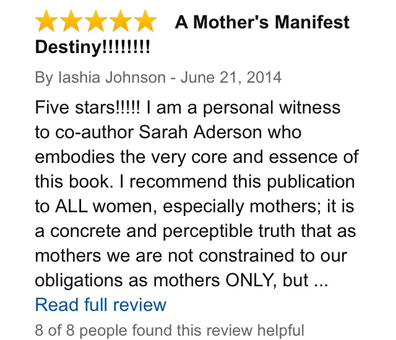 Sarah Aderson is the founder and host of the Mom-In-Chief Lounge...an empowerment session for busy single moms. Weekly online events give attendees access to renowned experts, action steps, and a supportive community to thrive. The events are only 30 minutes...and free! On a mission to empower one million women to thrive, Sarah is leading the BE U Movement. She wants women to know that they are not broken and don't need to be fixed. The BE U Movement helps women accept themselves fully. 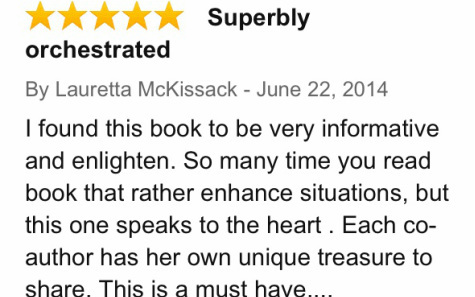 It is designed to emphasize the need for women to love their strengths, weaknesses, and recognize themselves as multi-dimensional. Sarah has over a decade of experience in adult education, public speaking, training and development. 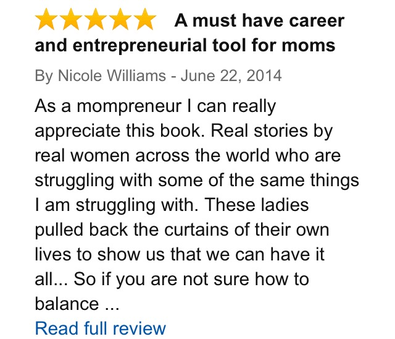 She shares that "Women entrepreneurs are worthy of creating great legacies. The power to create the life we dream of is within us. The key is to Expand Your Heart instead of shielding it". To get the latest complimentary training please sign up for the email list below.